Is commercial, residential, construction, or yard waste diminishing the value of your property? Perhaps you’re tired of seeing your property in a state that’s worse for wear? If so, you have most certainly come to the right place. All Trash Oz are industry-leading junk removal specialists. We pride ourselves on providing convenient and cost-effective solutions to your rubbish removal needs. With the most competitive rates in Sydney, there is no reason why our junk removal service should not be held in high esteem. Our dedication to excellence has allowed us to become a company that is well established in the community. As such, we’ve assembled a long-standing list of clients who are constantly impressed with our level of expertise in the field. Cost-efficient rubbish removal executed by a highly experienced, well-trained team – what more could you ask for? The team here at All trash Oz are proud to boast years of expertise and professionalism in the field. We are the specialists that handle all aspects of your junk removal. From household furniture to internal fittings and window frames, we have all your junk removal needs covered. For a dependable and trustworthy junk removal service, make the smarter choice, and choose All Trash Oz. For more information on our services at All Trash OZ, contact us on 0400 061 061. We can also be reached through our “Get a Quote” form that is located at the top right of this page. Trust the experts in the field. Trust All Trash Oz. Dirt, grime and junk seem to go hand in hand. When you hire the Rubbish Removal Experts at All Trash OZ, you have a fresh take on rubbish. We are a company that offers a new perspective for ridding your property of your rubbish and leaving it in a clean state that doesn’t leave you with a bill you’ll be paying off for months to come. There’s no better solution than All Trash OZ. We are Sydney’s rubbish experts with the men and equipment to get the job done in the most efficient manner. We are the experts in junk that not only remove your junk but recycle as much as possible. This is how we provide you with the most competitive rates in Sydney on your rubbish removal. Contact us today. All Trash OZ removes rubbish of all types. Whether your office, home or yard, the amount of rubbish that can often be accumulated requires a professional team that provides convenient and cost efficient services that are efficient. This is when it is time to call All Trash OZ. 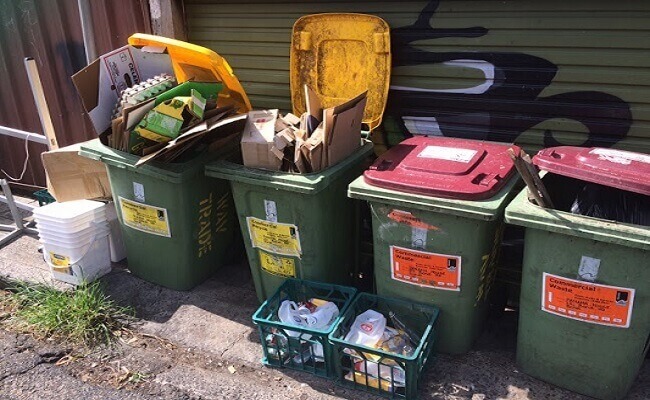 All Trash OZ collects rubbish from Residential, Commercial and Construction properties, as well as yard rubbish. We are the specialists that get your job done in the most effective manner while minimising costs. All Trash OZ is a rubbish removal company in Sydney that offers convenient, yet efficient solutions for rubbish removal. We offer our customers years of experience, the best removal specialist in the industry, and industry specific equipment, combining all the qualities that make a rubbish removal company great and cost efficient. We are a company that is established in the community, and one that is reliable with dependable and trustworthy services. We are experts in our field, benefiting our customers in many ways. For more information on our services at All Trash OZ, contact us at the number below. We can also be reached through our “Get a Quote” form that is located at the top right of this page. Waste removal is not just waste at All Trash OZ. It is our opportunity to leave your property in the most environmentally sound, and healthy manner as we don’t just dispose of your waste, we recycle.